The evolution of reliability and customer service begins with outstanding employees. Listening and understanding our client’s needs is the first step in providing the services they expect. Through continual investment in our people and technology, Kaizen NDT & Engineering Services will ensure its continued success, long into the future. To be a company of integrity, we work consistent with what we know is possible in quality. And we stand for that together, in every job we do! Kaizen NDT & Engineering Services is an ISO 9001:2008 Certified company in India for non-destructive testing, consulting services and training & certification in NDT to clients in manufacturing, processing, heat treatment, in-service inspection of nuclear, aerospace NDT, automobile, fabrication of structures, oil & gas exploration companies, petroleum refineries, cross country pipelines in India and abroad. 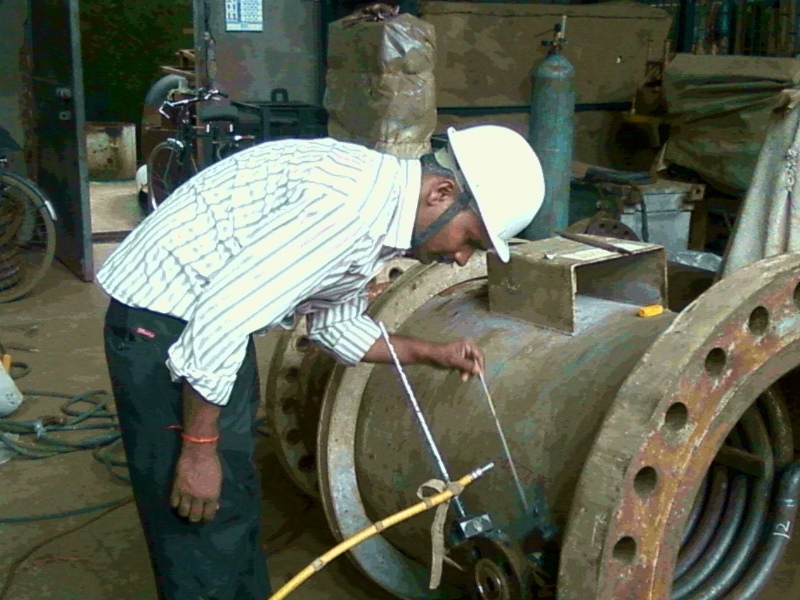 Kaizen NDT & Engineering Services has been established in 2013 by a core group of eminent NDT professionals with rich 30 plus years of experience. At Kaizen NDT & Engineering Services, we always strive for excellence, and through our continuous quality improvement programs, we ensure the best service provided. We have an excellent dedicated team with rich industry experience to cater our client needs. We are committed to provide the the best customer satisfaction. We at Kaizen NDT & Engineering Services recognize the critical importance of our service. We do provide a plethora of services starting from basic conventional testing to advance testing and other including QA/QC and AP 510 inspection services. We provide full suite of non-destructive testing solutions. Call us today at 022-27452157 for your non-destructive testing requirements. If you wish to contact us via email, see our contacts, page for our email addresses. With very great pleasure, we hearby announce that we have now received the much awaited ISO 9001:2008 certification. This is an unparallel achievement for us in Kaizen NDT & Engineering Services. This is yet another milestone for us at Kaizen NDT & Engineering Services. The much awaited website will be launched this weekend.